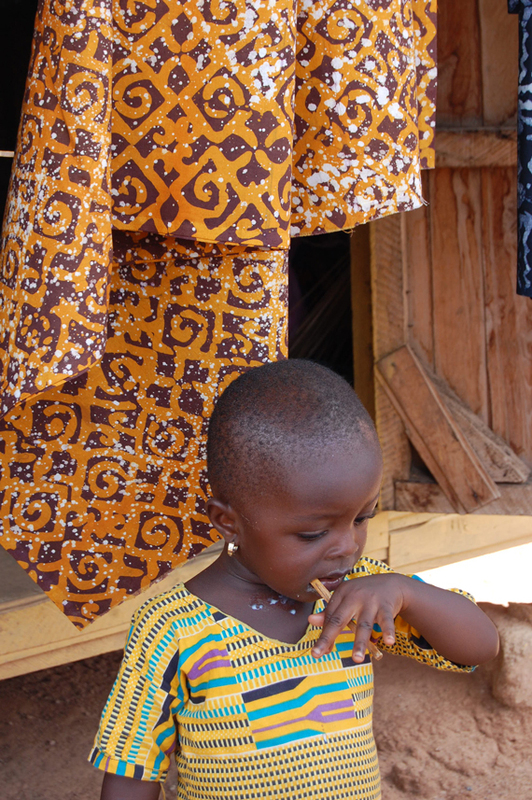 Over the last 18 months, I have been to Ghana, West Africa three times. It’s safe to say I’ve left half my heart in that country. The people are so authentic… so beautiful, both inside and out. There is an infinite wealth of design inspiration to be found in other cultures. 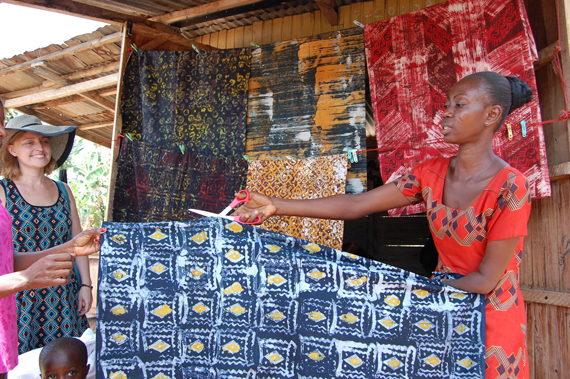 I truly believe we find beauty in the most desolate places…take the Ghanaian fabric, for example! Driving in a van, down a red dirt road, against barren landscape, you look out the window and see street vendors clothed in the most colorful fabrics! 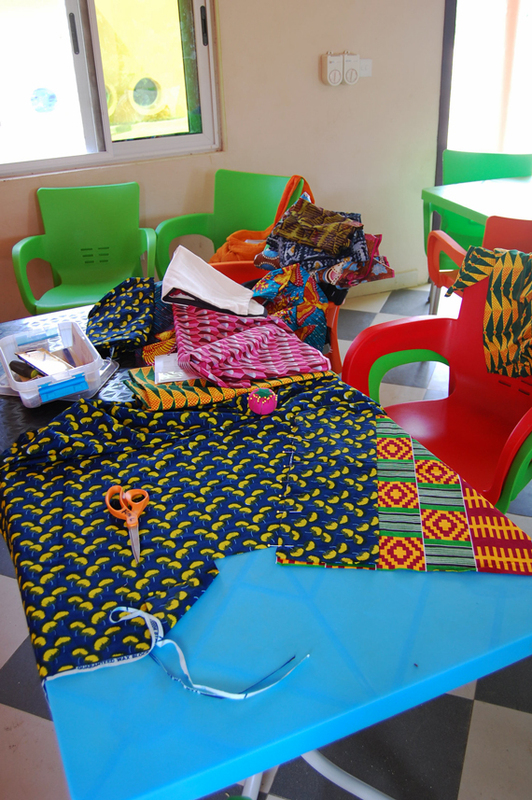 In a land that can appear so hopeless from the outside, the traditional Ghanaian textiles exude joy and life with bright colors and distinct patterns. While working with Touch A Life and Connor’s Song, I teamed up with Veronica Valencia and Christian Prasch to design an art center for children rescued from slavery on Lake Volta. 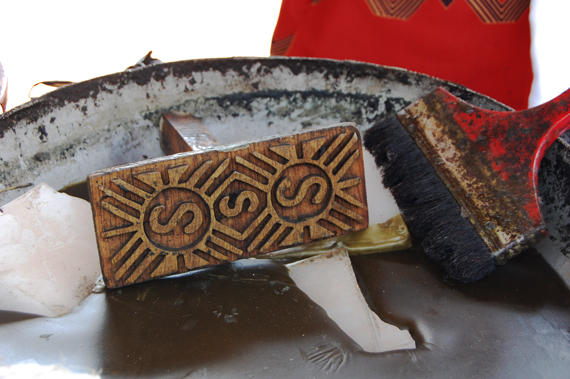 We really wanted to use local materials to keep the building authentic to their culture. 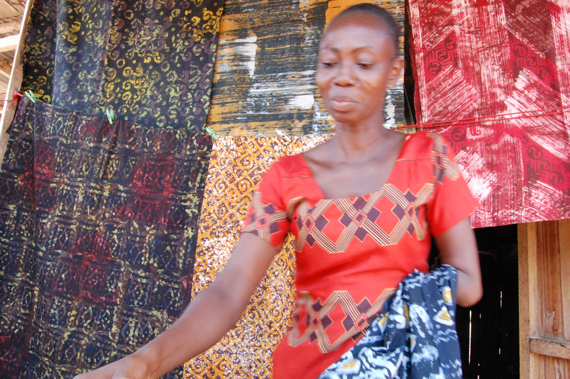 While sourcing fabric, we found this incredible woman, hand dying fabrics, with one arm. 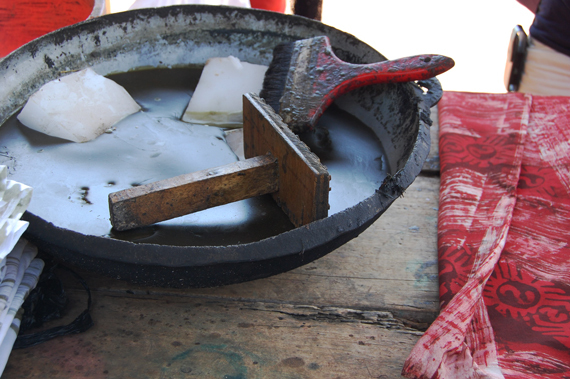 Using hand carved block stamps, wax, dyes and a fire pit, she was literally creating the most beautiful fabrics right there on the side of a dirt road! This type of textile design, called “Batik,” became popular in Africa in the 1960’s and 1970’s. Now, THIS is craft, y’all! We were so happy to buy from a local vendor! 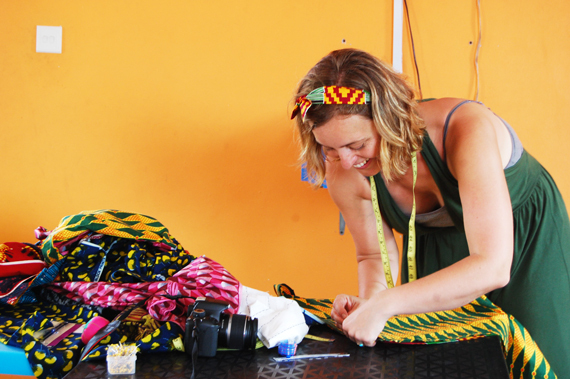 Taking these fabrics, our talented friend and fellow designer, Heather Hazelwood, made pillows for the art center right there in the Ghanaian sun. 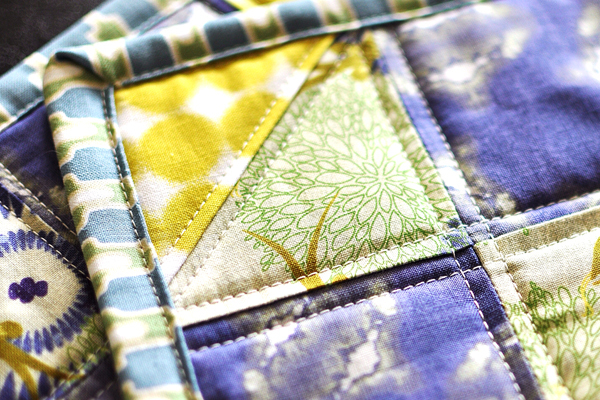 We used the fabrics to add color and cheer to the reading hammock chairs. I just love how the Ghanaian prints actually have meaning as well. The Ghanaian people are very thoughtful, spiritual and even superstitious. Black, for example, is a color reserved only for funerals. It is bad luck to wear black any other time. 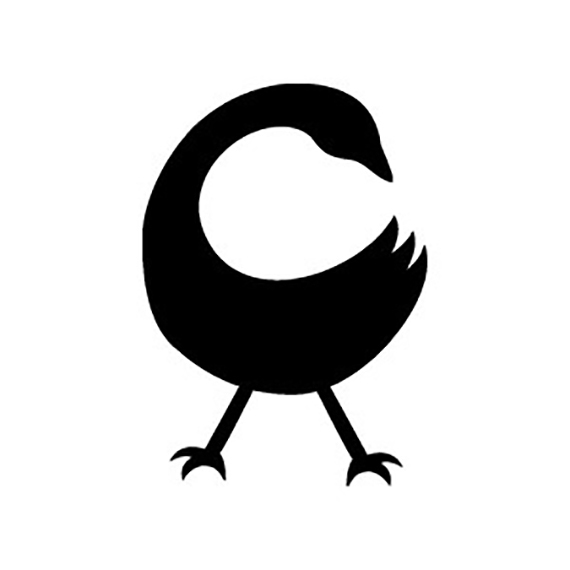 The symbol, called “Sankofa” is a reminder of the importance in learning from our past. 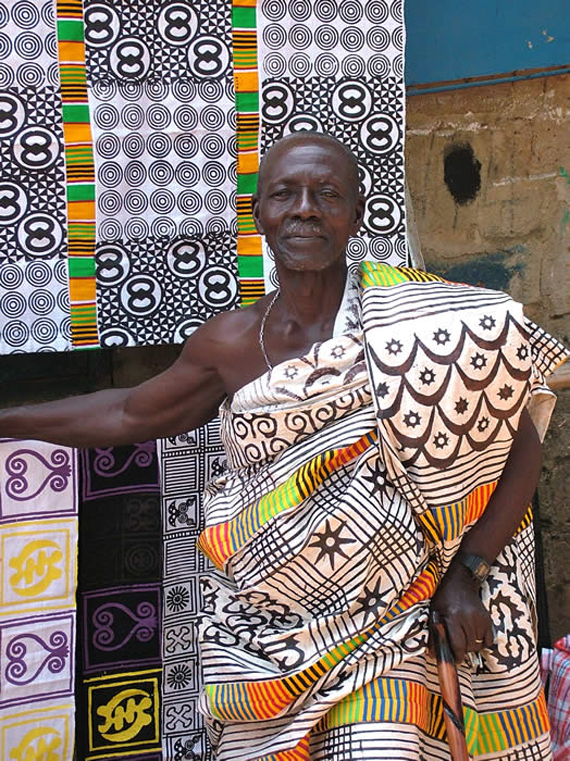 Another way the Ghanaian’s interpret this image is to “go back to your roots.” Textile design in this culture truly is inspiring, and has spread messages of hope, respect, love, unity and strength for centuries. 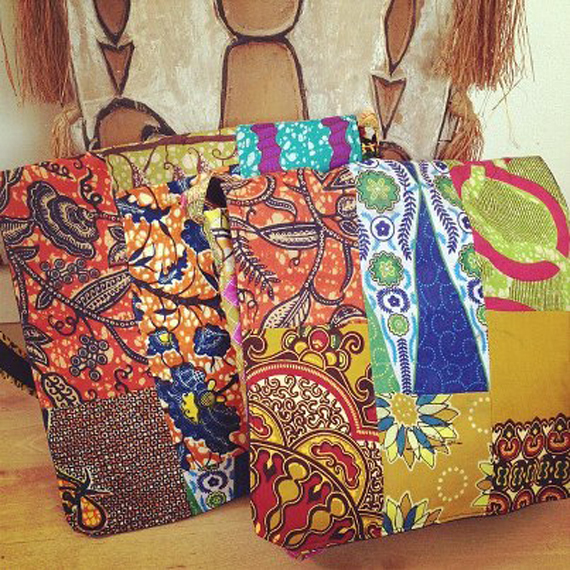 One of our fundraising initiatives included selling handmade Ghanaian patchwork bags. We literally could not keep them in stock! One round sold out by word of mouth, before we even posted them online! 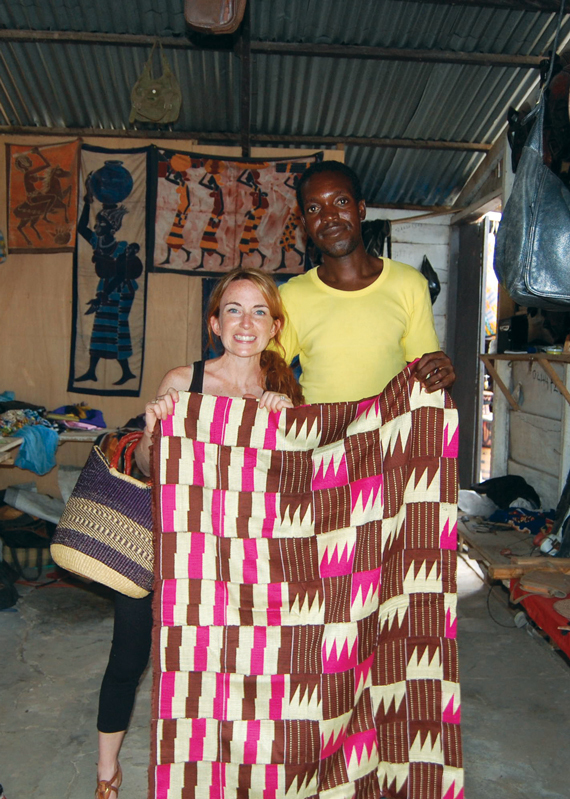 Ghana is probably best known for the “Kente” cloth. Before we headed back to the States, I had to stop at the market! Every design of this hand-woven, brightly colored fabric, has a proverbial meaning and story to tell. 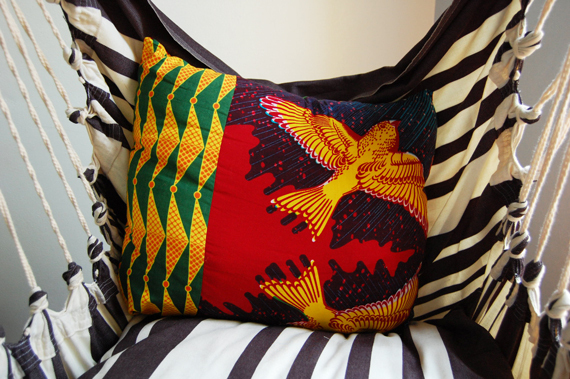 Kente cloth is reserved for special ceremonies and events and shows signs of wealth and significance. 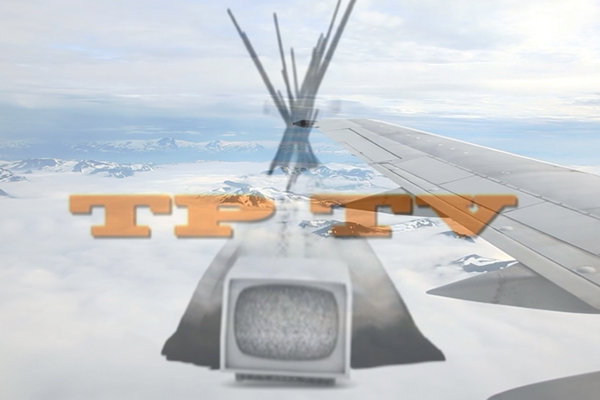 Traveling truly is part of what makes me “tick” as a designer. I know that in order to inspire others, I must find inspiration myself. I do believe there is such beauty to be seen in the roads less traveled. Next time you pick out a textile for your home, consider the meaning of the pattern, the colors and the history! Standing at 4'10" tall, Kim Lewis is a "Design Anthropologist", and proof that dynamite comes in small packages. As the former Production Designer for ABC's "Extreme Makeover: Home Edition," Kim Lewis designed the architecture, exteriors, interiors and landscape for over 100 custom homes, in 43 states, in 6 years. 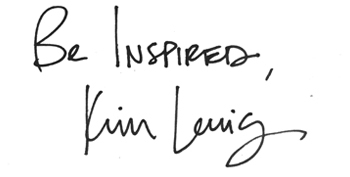 Most recently Kim worked with a non-profit team to build an art center in Ghana, West Africa for children who were rescued from slavery. 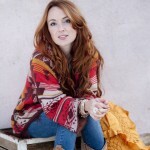 She is a Trend Spotter and Design Ambassador for Silestone, Blue Star Cooking and can be found motivating other designers and builders as a public speaker.